31 Jan Claim Cosmic Power! Complete Challenges for new Cosmic Talismans! From January 31st until February 15th at 4pm PT, complete Power Up and Evolution themed Event Challenges to earn a variety of rewards including Frontier Coins, Seventh Son Eddie Fragments and Talisman Soul Fragments. 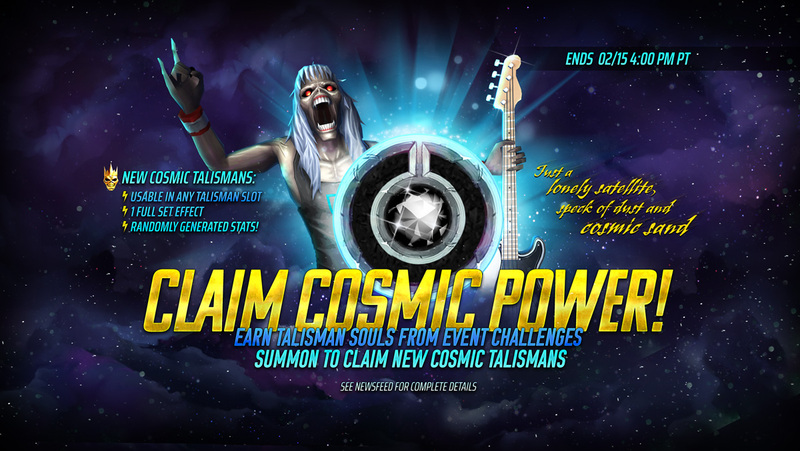 The Talisman Soul is a unique Soul that is guaranteed to summon both a 5⭐ Gold Idol and a random Tier 1 -to- Tier 3 Cosmic Talisman!